On Feb. 21, Gov. 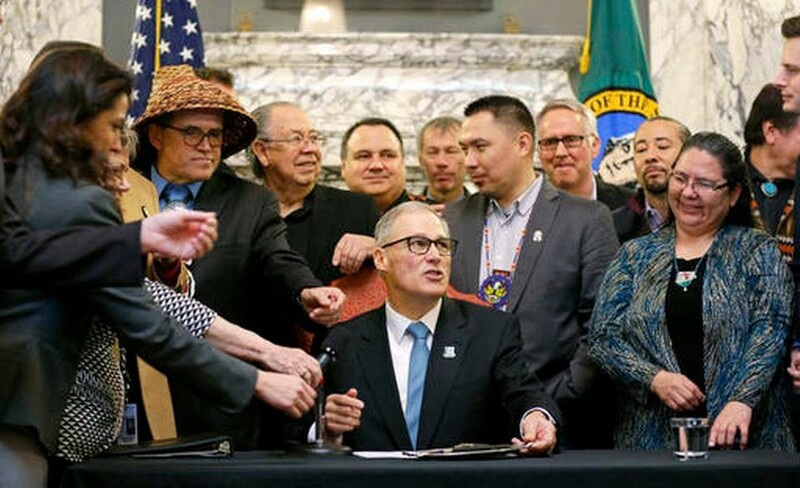 Jay Inslee (D-WA) signed the first bill of the regular session into law—SB 5079. The new law allows federally recognized tribes to use federal funding for dental health aide therapists (DHATs), who provide preventive care and procedures such as cleanings, fillings and oral exams. SB 5079 passed the full House with an 80–18 vote and received unanimous approval in the Senate. The Indian Health Service (IHS) is a federal agency responsible for providing federal health services to American Indians and Alaska Natives. The IHS is authorized under the Indian Health Care Improvement Act to develop and operate a community health aide program in Alaska that serves rural native communities. In 2001, the IHS established a dental health aide program as a component of the community health aide program to address the shortage of licensed dentists in the remote locations where rural Native Alaska communities are located. Recently, the IHS announced its plan to expand the community health aide program across the country. Such an expansion expressly excludes DHAT services from any expanded program in a state unless such services are authorized by the state legislature. Washington does not have a DHAT license. Under the new law, the DHAT practice is authorized and exempt from licensing requirements if the DHAT is certified by a federal community health aide program or a federally recognized tribe that has adopted similar certification standards. The DHAT services must be performed in accordance with the certification standards or through a certified DHAT training program. Additionally, authorized DHAT services must be performed in a practice setting operated by an Indian health program that is located within the boundaries of a tribal reservation. The DHAT services are only authorized to be performed on tribal members or persons otherwise eligible to receive IHS care. The Washington State Health Care Authority is directed to coordinate with the Centers for Medicare & Medicaid Services to ensure that DHAT services are eligible to receive federal funding up to 100%. A DHAT is certified through the dental health aide program to practice without the direct supervision of a licensed dentist for procedures such as oral exams, preventative dental services, simple restorations, stainless steel crowns and X-rays. A DHAT may perform extractions and root canal procedures only after consultation with a licensed dentist who determines that the procedure is a medical emergency. The DHAT certification requires a high school diploma, graduation from a two-year educational program and a 400-hour clinical preceptorship under the supervision of a dentist.